1995 GTI VR6 - N/A - Schrick 268's, Race Shop cyl head, ported manifolds, Mk4 gasket, 2.5" exhaust, all the bolt ons and little stuff. Dynoed 198whp with 262 cams on stock ECU. VrOut Jumper (red VW sensor to VR+, green to VR-) this is backward of all the V3's I've done but could not get sync at all rpm the other way. Just a rough tune to head to the dyno with. I built the harness PnP style to be able to back to back test it vs a GIAC chipped stock ECU. Back to backs tomorrow. More details to follow. I finally got this running after working on everything for quite a while! Hard to get time to do it between everyone else's projects! Switched to HR10g this morning and did some tuning. Fixed my req_fuel as well I have no idea how the calculator came up with 10.3 last time. I scaled the VE table by .72 when I started tuning the HR code. Got about an hour of tuning in before doing a full throttle pull and hit a bump at about 7.8k.. did the clutch in. Whoops! No dyno results, unfortunately. Worked out decently, I'll attach it once the laptop is charged up. Next up after the repair, switch to HR11 and try tuning with the MAF. 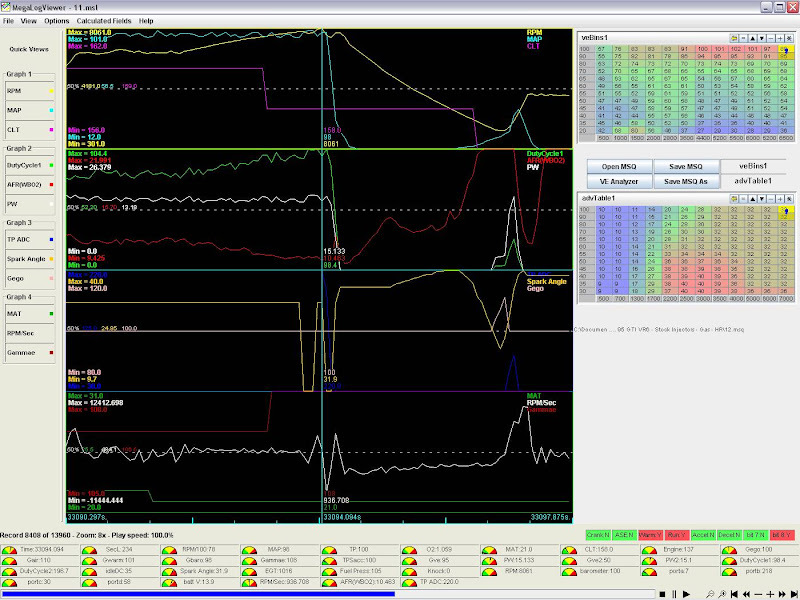 Latest msq, still on HR10g, dyno tuned at full load. As good as it's going to get before I hit the track. 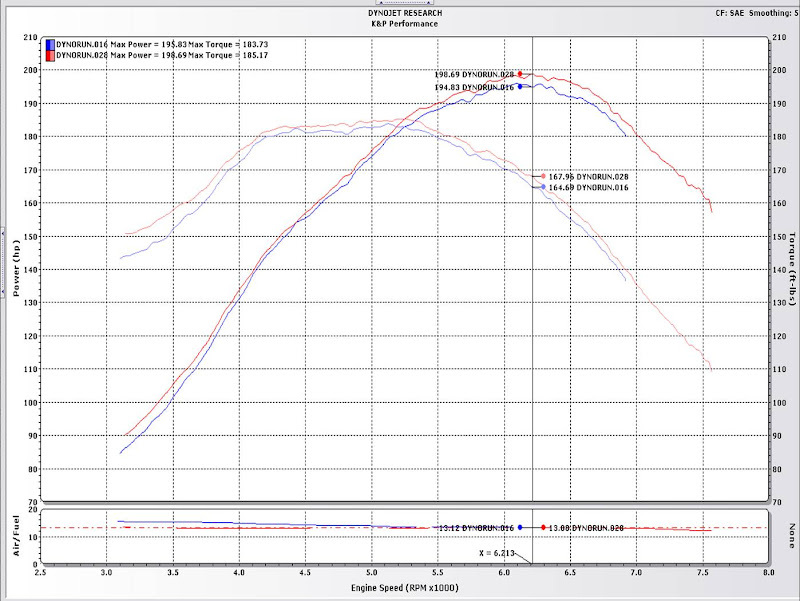 Made an average of 4whp over the stock ECU with a GIAC chip which is pretty much the standard all go by. could you possibly post more info and diagram on your modification for triguering? Use a 1k instead of 705R, and do that for each LED. hi mate, have u got a wiring diagram for the loom? can you buy the ecu your using off the self, if so what do i need?